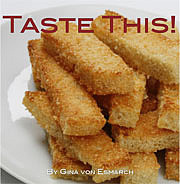 Published on January 26, 2012 in Recipes. 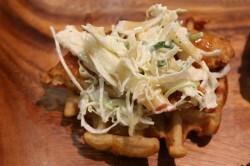 1 Comment Tags: apple slaw, Bacon and Cheddar Waffles, chicken and waffles, fried chicken, Savory Stout Beer, Super Bowl. 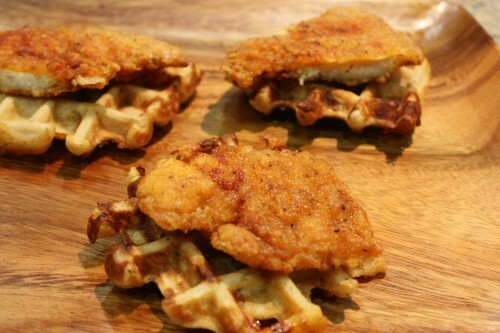 There are quite a few theories on how this now in vogue combination of fried chicken and waffles came into being. One theory seems to date back to 1940s and 1950s with the New York City Jazz scene and artists such as Miles Davis and Thelonius Monk. In this theory, legend goes that this northern soul food tradition began when artists in New York like Monk ordered chicken for breakfast after missing dinner the night before because they were performing, then he ordered waffles as hot bread to eat with the fried chicken. That’s one historical theory, the other is that in Pennsylvania Dutch Country people had been eating a similar combination for years but smothered the chicken with gravy. It makes since knowing that waffles culture here in North America started with Dutch colonist in sixteenth century New York, New Jersey, and parts of Pennsylvania. No matter which story you subscribe to, this dish is divine and had my biggest skeptics going back for seconds. In a small bowl, mix together 1 TBS salt, 2 tsps black pepper, paprika, cayenne, garlic powder and onion powder. Season chicken in spices, cover and let chill 4 hours to overnight. One hour before cooking, remove chicken and allow to come to room temperature. 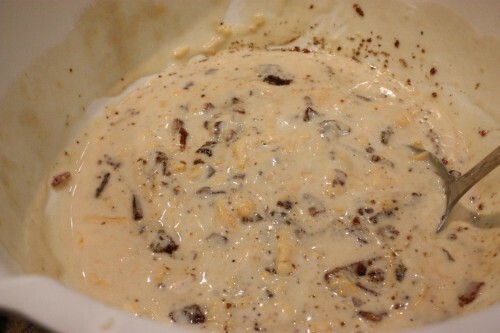 In a medium bowl, mix buttermilk and water. In a medium size bowl, mix together flour, cornstarch 1 TBS salt and 1 TBS pepper. 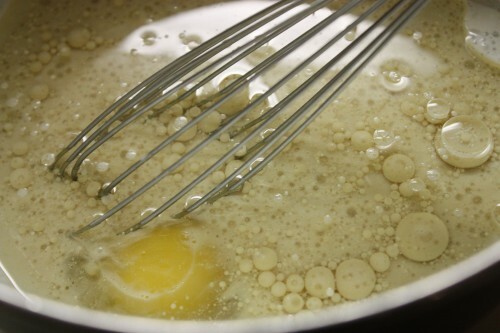 Pour oil into a 10-12 inch cast iron skillet, setting temperature on medium high (if you have a deep frying thermometer, temperature should reach 350 degrees). Line a baking sheet with aluminum foil, set a wire rack down (or if one is not available line with paper towels). Using one hand for wet ingredients and the other for dry ingredients, dredge one piece of chicken at a time first into buttermilk mixture (allowing excess to drip off) then into four mixture (tapping against bowl to shake off excess flour). 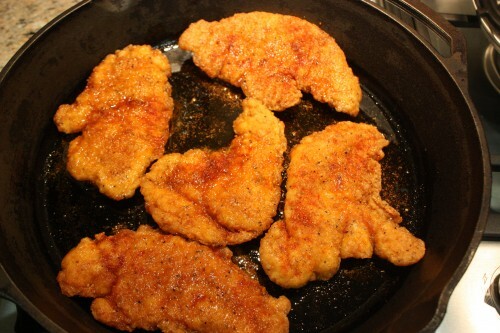 Place all piece in skillet and fry, turning with tongs every 2-3 minutes. 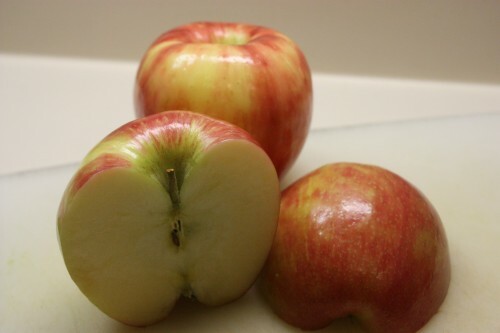 Adjust heat to maintain approximately 300-325 degrees, until crust is a deep golden brown. 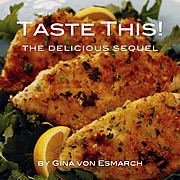 Using tongs, remove chicken from skillet, allowing excess oil to drip back into skillet; transfer chicken to prepared rack. Allow to cool before serving. 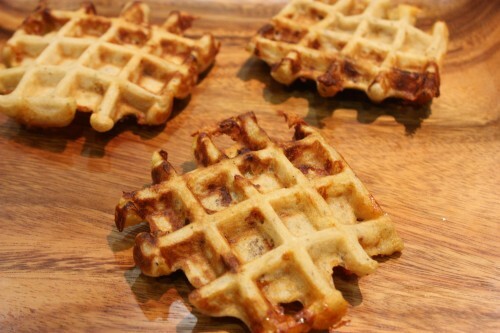 Cut pieces in half, or to fit the size of the waffle, and set aside. Preheat the oven to 400 degrees. 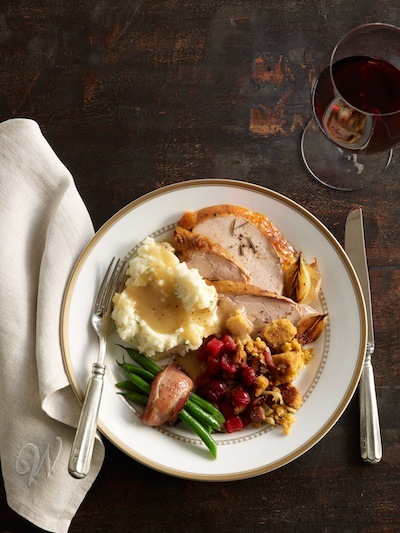 Line a rimmed baking sheet with aluminum foil and place wire cooling racks on the sheets. In a small bowl, mix together brown sugar and pepper until well combined. 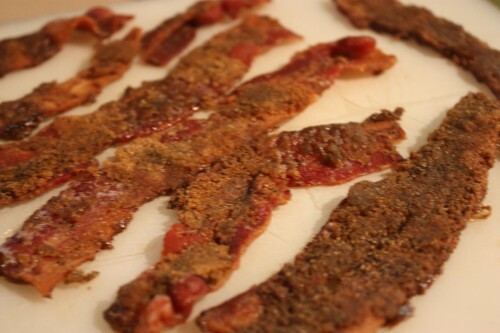 Lay the bacon out on the cooling racks and sprinkle evenly with half of the brown sugar and pepper mixture. 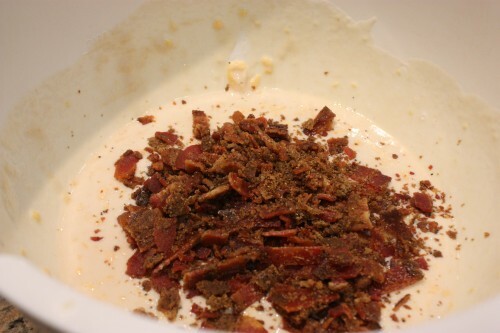 Press the sugar and pepper into the bacon, and bake for 10-15 minutes. 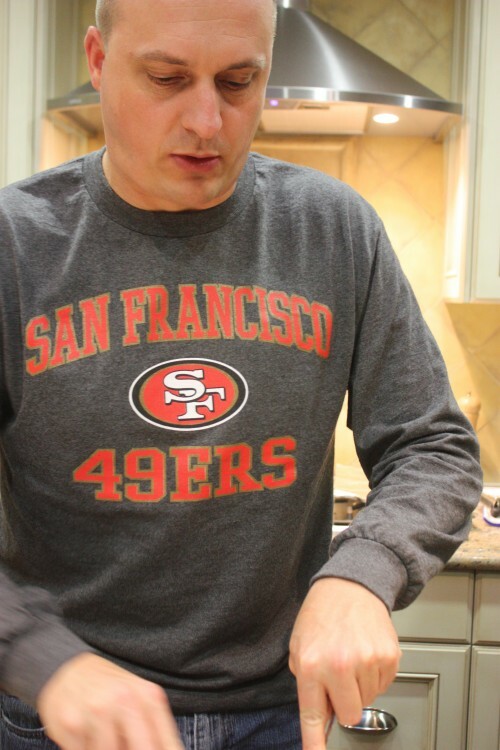 Then flip it over and sprinkle the remaining sugar and pepper on the bacon, and bake for another 10-15 minutes. Check the bacon regularly to prevent burning. Allow to cool for 5 minutes before chopping into bite sized pieces. Set aside. In a medium bowl combine baking powder, baking soda, cornstarch, flour and salt. 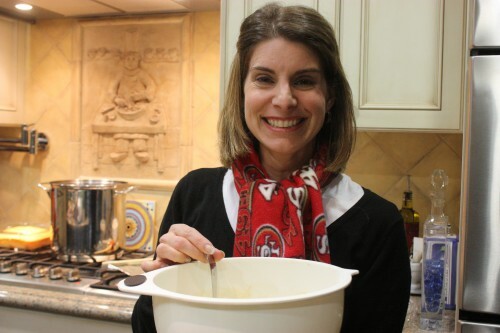 In a second bowl combine buttermilk, beer, egg and vegetable oil. Mix well. Add the wet ingredients to the dry and mix thoroughly until there are no lumps. Lastly mix in the bacon and cheddar cheese. Preheat a waffle iron. 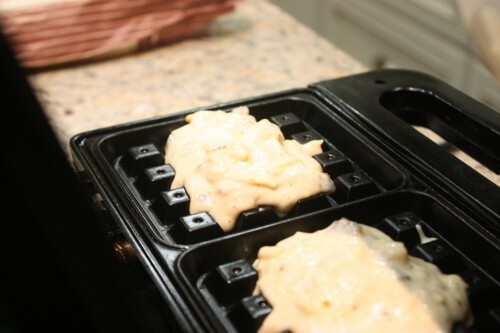 Do not use non-stick spray on the waffle iron; the oil in the batter should allow the waffle to release easily. 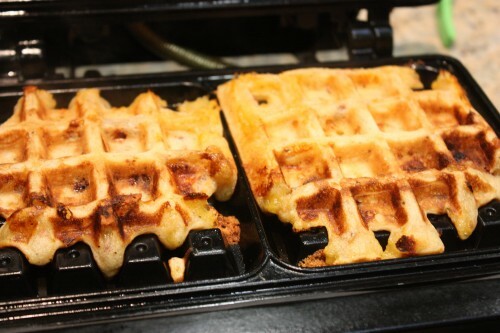 Follow the directions on your waffle iron to cook the waffles. 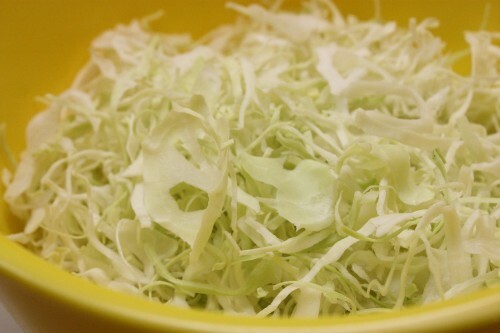 In a large bowl, whisk together the sour cream, horseradish, vinegar, salt, and pepper. 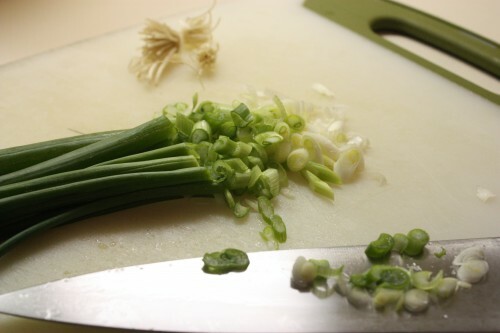 Add the cabbage, apples, and scallions and toss. 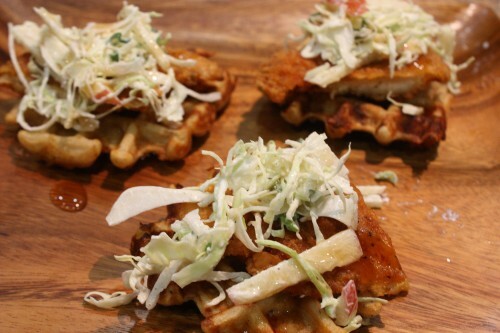 To assemble the open faced sandwich…waffle, chicken, slaw and enjoy it is a great blend of textures and flavors. 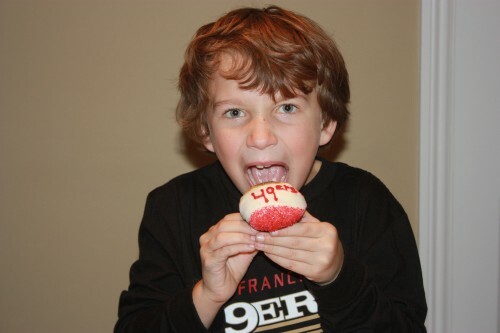 When the game was over, I captured one of my nephew’s devouring this 49er cupcake. While this photo has nothing to do with my chicken and waffles recipe, it has everything to do with the end of our football season. And besides, who could resist those blue eyes?! Sounds yummy! Great shots, too.